A new exhibition began at Ueno Farm NAYA cafè Gallery. 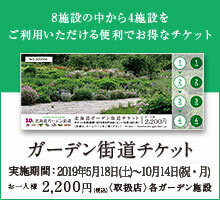 "Shigeo Fujikawa Silent Story Exhibition 2"
It is a silent story theme featuring plants of illustrator Fujikawa Shiro who is also supporting Ueno Farm. Please come and see the works being moved by heart.